At Excellence Custom Painting we believe your home is your castle and it’s one of your most valuable and treasured possessions. Our high quality interior and exterior painting solutions will ensure that your home not only stays valuable but it is also visually captivating. We will exceed your expectations through our multi-phase process based on quality workmanship and personal customer care. 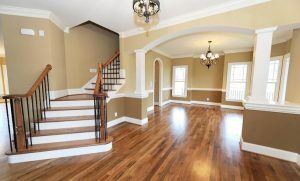 The first step is your call to Excellence Custom Painting to schedule a free on site visit. We love to work directly with homeowners, as well as their contractors or designers. We offer a complementary color consultation to make sure that the color choices reflect your personality and style. We also make sure that your home and belongings are properly cared for and protected before, during and after the painting process. We take extra care in covering your floors and furniture with drop cloths to protect it from any damage, dust and paint. At Excellence Custom Painting we believe that thorough and proper preparation is the key to outstanding painting results. We prepare the interior or exterior surface by sanding and removing old lose paint and debris. We then calk and patch any cracks or damaged areas and apply the primer. For exterior surfaces and walls, we might perform additional steps, such as covering windows and landscaping, high pressure water washing, mildew treatment or repairing damaged stucco walls. Only then the surface is ready for a fresh and beautiful coat of paint. We finish the process by removing all coverings and drop cloths, thoroughly cleaning all surfaces to remove dust and debris. The outcome will astonish you – stunning and colorful interior or exterior walls and perfectly finished doors or window trims.